Nelson Seed Library was given an amazing bean collection by the Heritage Food Crops Research Trust but much of it is getting pretty old so is losing viability. If we do not grow new seed from them this season, we may lose some of these special varieties forever. To grow out as many varieties of our special bean collection as possible in the 2017-2018 year. We need people across the region to take up the challenge of protecting a few varieties. 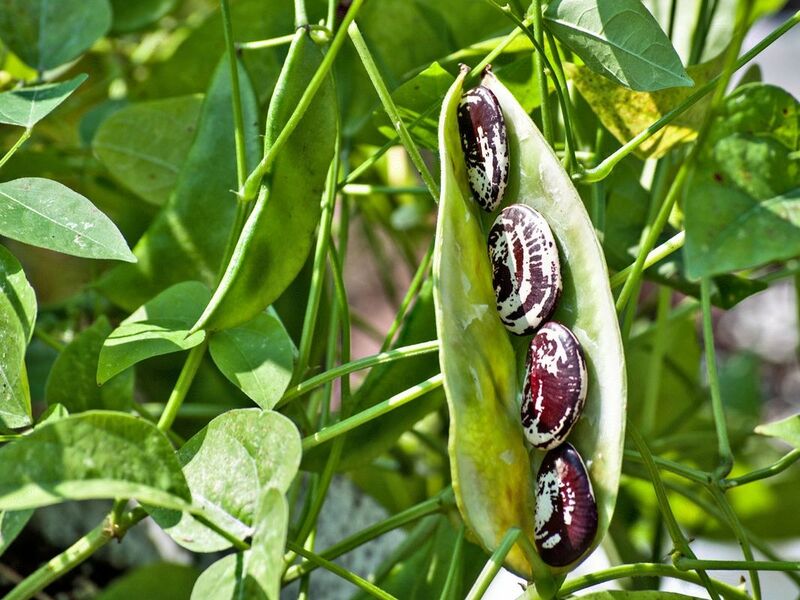 Beans are among the easiest seeds to learn to save and a great way to start out - check out our seed saving information. Head down to the Elma Turner Library during opening hours and look in the seed library drawers. We now have two drawers full of beans, the top one contains our climbing beans, these will need a support structure, the second drawer contains our dwarf beans which typically do not need any support. Select a couple of varieties of bean and take them home to grow, due to the poor germination please take a few more than you think you need. These old beans are going to need a little extra TLC so waiting until the soil has warmed in October and protecting them just in case we get a late frost is recommended. Slugs, snails and birds are fond of the newly emerged seedlings so some protection from these is also advised. Most beans do well if planted at a depth twice the size of the seed, covered over, watered in and then left until they germinate. If your beans are climbers then get the support in at planting time. Ensure you keep your beans labelled at all times, from seed to seed. It is really important that you remember to save the seeds and get these back to us at the seed library. After the pods are dry, bring them in and let them dry further in a cool place with plenty of air flow. To check if the beans are dry press into them with a fingernail, if they dent easily they still need further drying. When properly dried, bag them, label them and return them to the seed library.